Below you will find our ultimate guide to things to do in Nelson Bay. There are so many things to do in Nelson Bay, the main town in Port Stephens, a stunning natural harbour an hour north-east of Newcastle on the New South Wales coast. 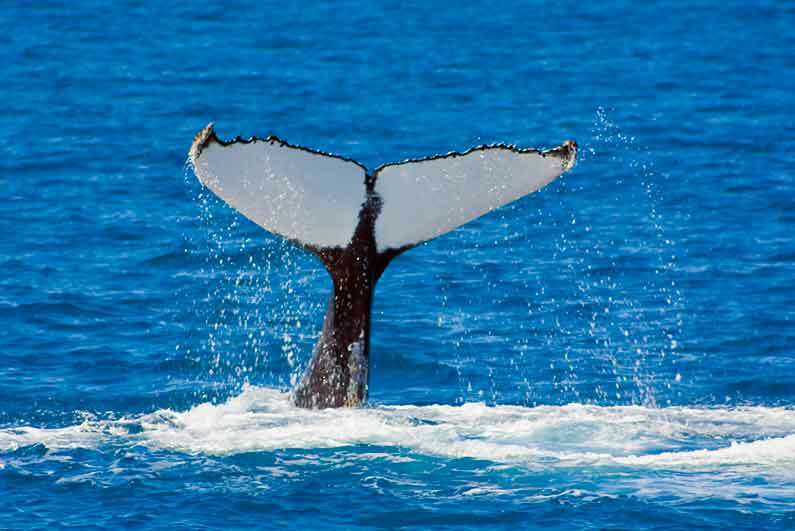 The area has some outstanding pristine coastline to explore, and a wealth of marine life to see year-round. 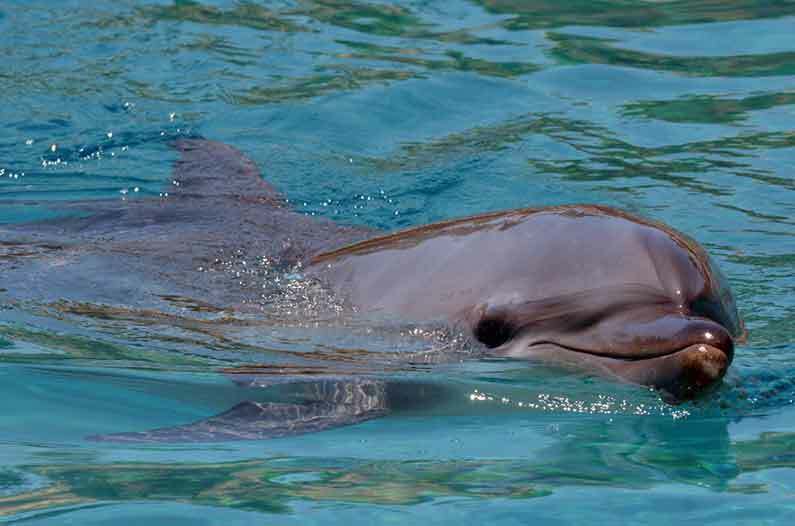 Unsurprisingly the majority of things to do in Nelson Bay revolve around the water, with a Port Stephens dolphin cruise top of many visitors’ wish lists. 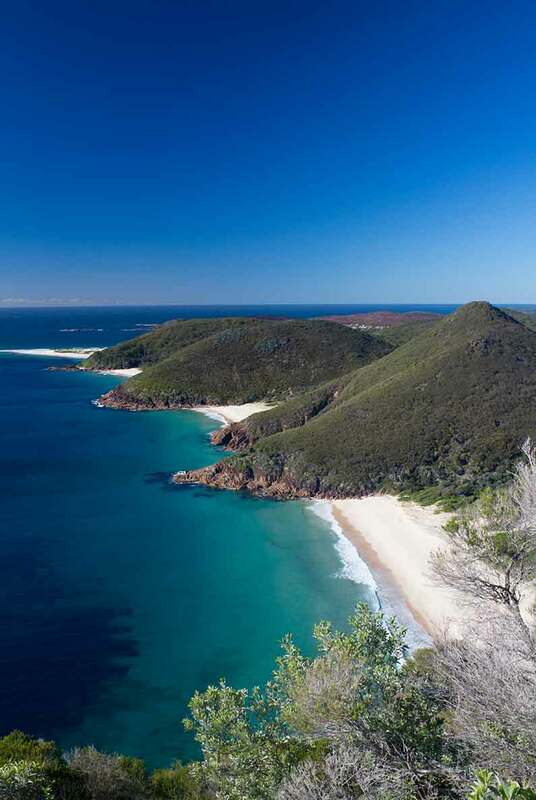 It’s also worth travelling a few miles from Nelson Bay to explore some Port Stephens beaches, from the tiny coves near Tomaree Head to the vast sand dunes that stretch from Birubi Point to Stockton. Take a look below for more activities to do in Nelson Bay. 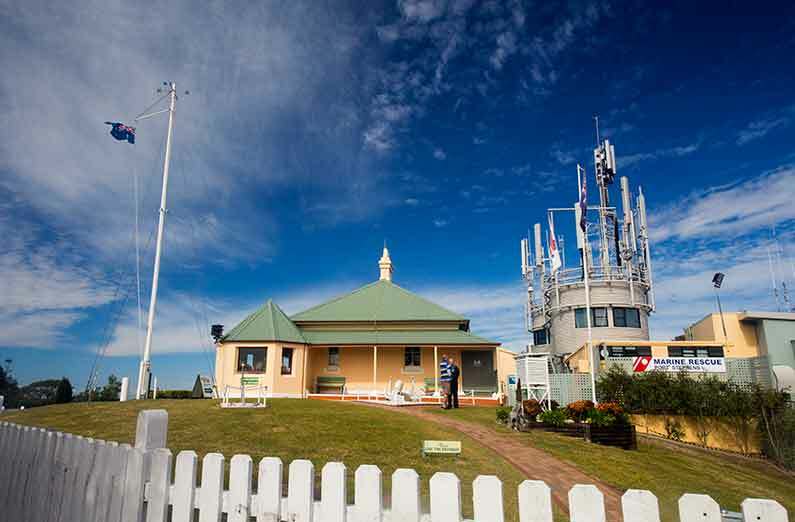 This twenty-minute climb from the car park in nearby Shoal Bay takes you to the summit of Tomaree Head, one of the two headlands guarding the entrance to Port Stephens harbour. 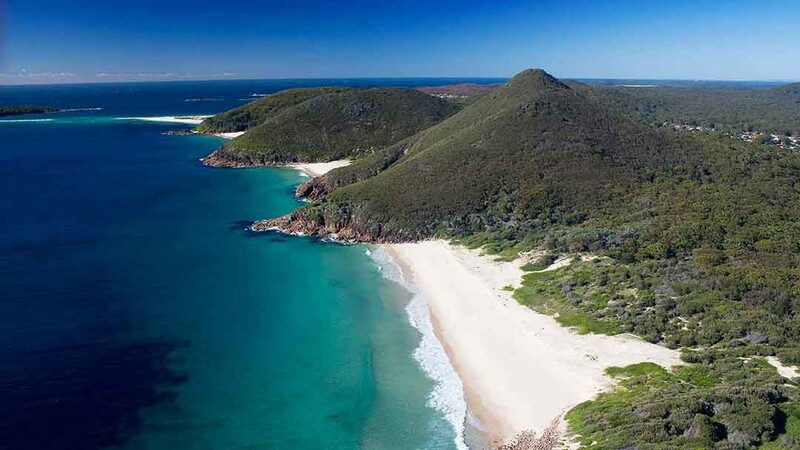 The views down the coast, over three of the best beaches in Port Stephens – Zenith, Box and Wreck beaches – towards Fingal Island and sand spit are absolutely magical. 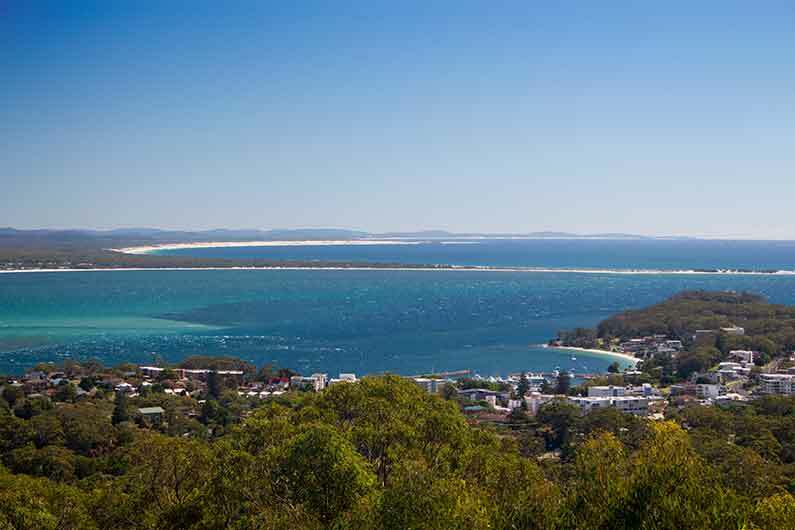 This is a great viewpoint with close to 360 degree views over the Port Stephens peninsula. It’s the highest point in the area, directly below the TV and telecoms masts. From here you get great views, especially over Nelson Bay town down below, and towards Anna Bay sand dunes and beach, in the south of the peninsula. The views above the water are breathtaking enough, and the same can also be said for underwater. The pristine aquatic environment and flourishing marine life in and around Port Stephens make it an ideal area to snorkel or dive. The difference between the two is that snorkeling is looking underwater from the surface, while diving means you go below the surface. Beginners can go on a snorkeling course and learn the basics, opening up a view to a whole new world. Lets Go Adventures also run scuba diving courses. Fly Point aquatic reserve, on Victoria Road, is a renowned site well worth exploring – in summer you get the added bonus of seeing juvenile tropical fish there. Otherwise you can go boat diving offshore. Broughton Island is a remote spot off the Myall Lakes coast, and part of the National Park of the same name. It’s a small pocket pf paradise with superb beaches, coast walks, fishing, scuba diving and snorkelling. It’s possible to visit for a few hours on a day cruise trip or to camp there, which must be an amazing experience. Guided eco walks are also available.